Suave provided a great service to my home and was very informative. Better to eradicate but it doesn’t sound right. For the past 18 years and to date, we have been extremely pleased with Terminix Norfolk! Our house remains pest free due to their outstanding and prompt customer service. Most importantly is the relationship we have develop with "Folami" (technician) over the years!!! Folami's knowledge of various pest and the correct use of pesticides provide a sense of security with maintaining a pest free home!!! Folami is amazing and we will continue our services with Terminx Norfolk for many years to come!!!!! Great service. Informative feedback on my house. Great service knowledgeable and friendly technician. The young men who replaced our insulation did a fine job and cleaned up the yard . 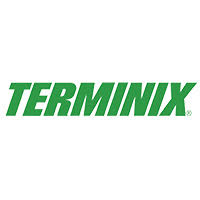 We have been very pleased with the service that we receive from Terminix. The technician is always friendly and listens to our concerns. I can count on 100%. The staff of Terminx are simply amazing to work with in any capactity. Every visit by the technicians leave us pleasantly glad that we have TERMINIX. They are amicable, knowledgeable and conduct themselves in a very professional way; answering questions and concerns with honestly. AWESOME SERVICE! David does a great job when he comes and is always polite and knowledgeable. the technician Antwon hyman,was on time and did a great job.he was by his self,and finished his job in a timely manner.he was very polite and easy to talk to.he explained every thing he had to do.Antwon is an asset to tour company.thank you.shel etheridge. Continue doing a great job, thanks for keeping the bugs out!!!! Great service can’t ask for more. Harry, Walter and Dave were wonderful from the services they provided to their personality and character. They genuinely cared about my well being. They did not leave until I was at peace with what occurred, the reason called them to begin with. Mr. Darland, Mr. Profit and their removal and replacement barrier crew, risked their lives for our safety by inspecting and updating the crawl space at our home. In doing so, they were very professional. They took pictures to show what damage occurred and was very thorough at explaining what the recommended what should be done for our home. What I am most pleased with, besides the exemplary quality of their service, is that there were no hidden or extra fees. Dave came after the the removal and replacement of the crawl space barrier to treat our home for insects. Dave is very kind and hilarious. He took time and care in treating our home. He removed every spider web we had on the outside and ensured that every crack and crevice was treated. When compared to customer service, customer care and quality of service and price, I highly recommend Terminix for the longevity of the foundation of you home including but not limited to pest control for your home. I am very happy with the technicians and service they provide. Terminix's customer service is something else. I get phone calls from a robot asking me to call a number - when I do it answers then immediately hangs up. Other calls come from numbers I do not recognize. This really needs to be fixed. New guy did great job. Glad you sent someone willing to do his job! Their prices were way better than mom and pop companies and service was awesome. Very prompt and professional. Thank you so much for the great review! Need anything lets us know. Very prompt,on time service. Tech was very friendly. Super knowledgeable staff. He always answers my questions. Great service guy, I highly recommend him. So far so good, just wanted to know when they will make their second visit this month still seeing bugs.. I like making a call and Im on the schedule within 24-48 hours. The technicians are friendly and I can see a difference. Services were rendered with courteousness and professionalism. All of my family's needs were well taken care of. Excellent Service. Staff is very knowledgeable about their job. Five Stars. I have been pleased with the services and they are able to get technicians out in a timely manner. I have been with them for over 15 years. Technician provided excellent service around my home. He listened to my concerns about increased ant activity and advised treatment options. He also advised that if after treatment I still had problems to contact the office and he would be sent back out for additional applications. He also knew that I have pets and assured me that treatments would not harm them which I appreciated. Truly great service. Gentleman came early and did as I requested waa very interested in my questions answered all,made sure I was pleased with service. I like using Terminix because they send the same technician every time so he knows our house and our particular concerns. Your service is the best!!! !